Perceptions of alcohol are shifting. The British Beer and Pub Association have said it out loud: Attitudes toward alcohol were changing and the industry needed to respond. Binge drinking has declined by 19% since 2007. 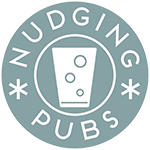 What is most interesting from our research is that while people might want to get pissed less – they want to go to the pub just as much. Which is great news for the British Boozer and also great for everyone’s social life. .. and nights off, and using the pub as a meeting space in the afternoon, and so on. This is great news for customers. When big cheeses in the industry start saying this we know there is a change afoot. 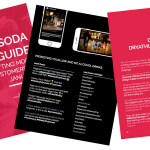 We have met (and evaluated in some way) over 200 pubs in Hackney and The City (so far) as part of developing The Club Soda Guide – Good Places for Mindful Drinkers. As we are brand agnostic we get to spend a lot of time talking to venues about our members’ favourite tipples. When we let them taste a FitBeer or a St Peter’s Without, and share a bit about how awesome an alcohol-free beer is, they get it. Not only do their perceptions about non-alcoholic beer change, but they can see a range of products that suit their brand and business ethos. Next to water an alcohol-free beer is the healthiest thing you can drink in the pub. Low in calories, with no added sugar, and it won’t stop you from getting to the gym in the morning. Laura Willoughby MBE, Club Soda. Pubs get the change in the market, but they want products they can be proud of, to put on their shelves (and we know that if a pub is not confident about what they have on their shelves, they will never shift it). It is a big job to let them know what customers like, what tastes good, and what is available in the alcohol-free space. We see a great opportunity for a new collaboration between pubs and their customers. After all, this is the relationship that counts the most. Foster and nurture it and you can begin to ease the burden of regulation. It is a relationship that cannot be forged by looking at data alone. The industry needs to see customers as their collaborators and co-designers. We also need to make changes to get rid of the confusion. This includes dealing with our old-fashioned language (alcohol-free rather than non-alcoholic, and does anyone really like the word mocktail!) 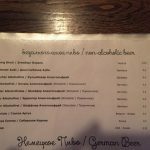 and the labelling of low alcohol beer (what a mess!). Public house also need to keep developing, to be seen as welcoming on a weekday afternoon as well as on a Friday evening. We believe strongly that real innovation comes when the dialogue and interaction between pubs and their customers is strong. There is now a great opportunity for the sector to redefine its relationship with customers, to make the changes that will benefit both sides of the market, giving us diverse public houses fit for this century. I have long thought this when you consider the risks of smoking alcohol is following on with more education , on trend with keeping fit as possible healthy eating we should have comparative fur drinks to match and this would encourage more customers who would come have good food bring their families and bring restaurants and hotels into the present whilst attracting a wider growing client base who care about how they treat their bodies .